For IT News Week 2 Nov 2015. Blue Coat introduced a new set of cloud generation products and features to its market-leading Blue Coat Security Platform after acquisition of Elastica. ZenLooks, a national design challenge inspiring Malaysia’s fashionistas to create their own tech accessory – a new case for the ZenFone 2 that is inspired by our country. 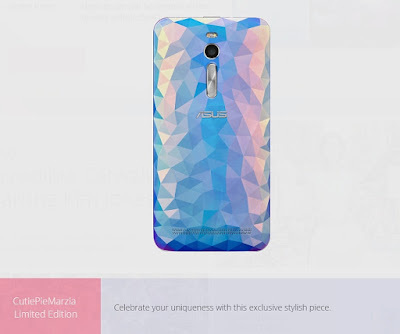 The ZenLooks competition is inspired by ASUS’s recent Incredible Catwalk collaboration with fashion commentator Kim Jones, where ASUS and Kim Jones created Southeast Asia’s ultimate fashion story. Kim modelled a selection of ZenFone 2 cases in the Incredible Catwalk fashion story, including the case designed exclusively for ASUS by international YouTube personality, CutiePieMarzia. With the agreement, ipoque committed to contributing its R&S PACE protocol and application classification engine to the program, an OEM software for application-awareness, designed to run in virtual environments with no loss of performance. 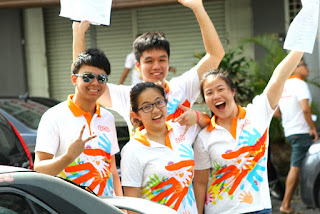 It was an all smiles Sunday as over 200 treasure hunters flooded Dewan Sivik MBPJ at TNT Charity Hunt 2015. An enthusiastic and eager crowd gathered at the start line as early as 6:30am! Joining them were local mixed martial arts (MMA) sensations, Peter Hugh Davis and Saiful ‘The Vampire’ Merican, which was a treat for the participants as they could meet the two celebrities. Participants were faced with mind boggling questions for them to solve, which took them on a journey from Petaling jaya, to Sunway Lagoon, then Subang Jaya, to Puchong, Seri Kembangan and finally ending at DPULZE Shopping Centre, Cyberjaya. It was another successful hunt that saw TNT Express Malaysia donate a total of RM 60,000 to four homes. Funds will be distributed to cater for the needs of more than 100 children from Shelter Home for Children, Penang Children’s Protection Society, Community at Heart, and Pertubuhan Kebajikan Kanak-Kanak Yatim dan Miskin Port Dickson. Corporation for Education Network Initiatives in California (CENIC) has selected Brocade network solutions in the world’s first 100-Gigabit per second (Gbps) Research and Education (R&E) network link between Asia and the United States, as part of Pacific Wave - a state-of-the-art international Internet exchange facility that interconnects the research and education community of the Pacific Rim with California’s research universities and 200 other research institutions across the United States. The new network relies on the Brocade® MLXe Core Router as the interconnection, peering, and routing exchange fabric, enabling high-performance 100 Gbps connectivity and providing a next-generation software-defined exchange (SDX) based on software-defined networking (SDN) technology. It supports a dynamic and agile network with new levels of operational efficiency and automation, enabling on-demand connectivity between the various global points of presence. This will allow researchers to move data between labs and scientific instruments to collaborators’ sites, supercomputer centers, and data repositories with zero performance degradation. Primary points of presence in Sunnyvale, Calif., Seattle, Los Angeles, Chicago, and Tokyo—all running 100 Gbps connections - will provide connections between the Pacific Wave network and entities such Internet2, the United States Department of Energy’s ESNet, the United States National Oceanic and Atmospheric Administration’s N-wave, and commercial cloud providers regularly used by national and international R&E communities. 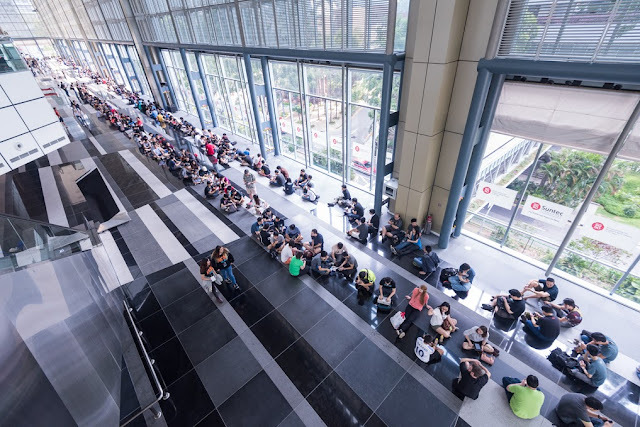 The second chapter of Southeast Asia’s premier game convention (GameStart Asia 2015) closed on Sunday evening after seeing over 17,000 visitors pass through the doors of Suntec City Convention Centre Hall 401 and 402. This year, the event was larger and held over three days instead of two, with the addition of a Business Conference and VIP Day on Friday 13 November. The halls were then opened to the public on Saturday and Sunday. 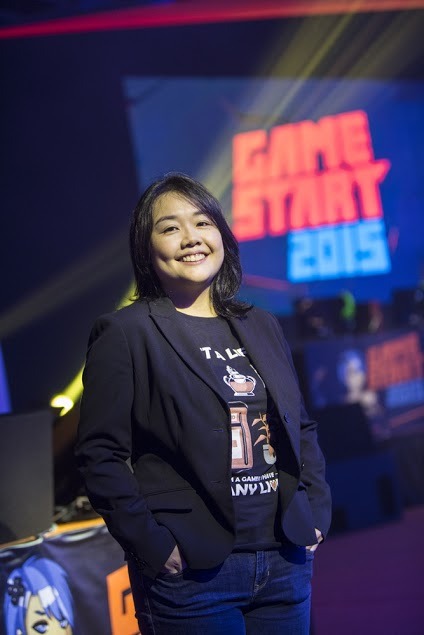 The inaugural GameStart conference was supported by WDA and covered multi-faceted topics relevant to game developers such as nurturing talent, access to government support, bringing the game to market and protecting intellectual property. Attendees heard from industry insiders such keynote speaker Hugues Ricour from Ubisoft, Albert Lim from Games Solution Centre - a MDA and NYP collaboration that helps incubate local game developers - as well as an insightful panel with Mike Ross from Twitch, Mark Julio from Mad Catz and Louis Vigil from Splitmedia Labs on how eSports and live streaming are changing the dynamics of gaming. Barracuda launches new Barracuda NextGen Firewall Desktop appliances to provide affordable security and high bandwidth availability for cloud, SaaS and other mission critical applications. Barracuda is the first advanced next-generation firewall in the industry that includes advance traffic optimization capabilities that is available in the market at affordable prices. 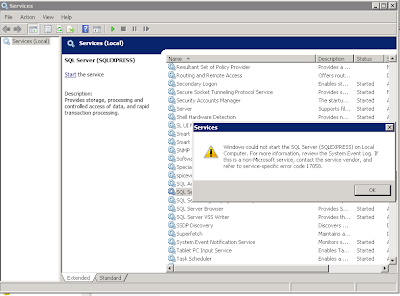 Designed for distributed networks and branch offices, this powerful desktop app provides improved security and network performance beyond the head office. “Most ‘next-generation’ firewalls today are designed to filter out undesired application traffic rather than proactively regulate and prioritize business critical traffic. The new Barracuda NextGen Firewall desktop appliances changes that approach and is able to provide a high level of security, and play an active role in application delivery and network performance at an affordable rate. Other security devices used to secure remote locations does not offer a high level of security at this rate,” says Thiban. RS Components, the global distributor for engineers, has appointed Alexander von Schirmeister as Chief Innovation Officer. In this role he is responsible for both Digital and IT across the business, with a primary remit to further enhance and grow the company’s eCommerce offering to ensure customers have a world-class online experience, while ensuring the technology platform continues evolving at pace for the business needs of the future. He reports to the Group’s CEO, Lindsley Ruth. Alexander has wide-ranging digital and international experience. Having spent the last ten years in senior management positions at eBay, culminating in Vice President of eBay EMEA, he has deep knowledge of working in complex global digital environments, understanding online customers and how to meet their rapidly changing needs through technology and innovation. He also has leadership experience in a large and diverse global business. Singapore’s premier online property search portal PropQuest has launched brand-new features that add greater value to its users. Prospective home buyers or tenants can now get full public transport guides on how to reach their end destinations from the new properties. PropQuest’s newest brainchild is the Home Select search feature. It filters the search results by stating all the public transport modes available based on individual preferences. This never-before feature will allow users to make an even more informed decision and understand their estates as well as communities better. There will also be a real-time chat that allows users to connect with agents. They can find out more information about the property without having to divulge any personal information such as mobile number or email address. Intel Malaysia and Microsoft Malaysia today announced a joint campaign in encouraging Malaysians to be empowered by Windows 10 devices with Intel® processors to help them achieve more in their daily lives. Dubbed “Make Magic. Every Day.” the campaign aims to reach out to consumers in Malaysia to introduce devices running on Intel® processors and Windows 10 through a series of instore and online promotions, as well as the engagement of local influencers - including leading local beatboxer, Shawn Lee; social entrepreneur Christopher Tock and Sabrina Tajudin, co-founder of Breena Beauty and leading fashion blogger. 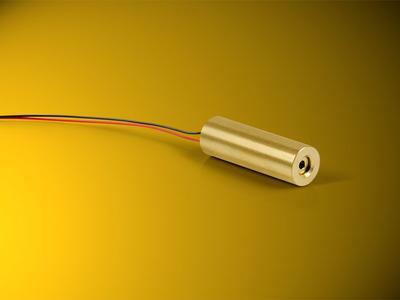 Laser Components introduces new laser modules: They are smaller than a pin, illuminate as a red or green dot, as a red line, or as a red cross-hair. Some of them can be used at temperatures of up to 60°C, and others can be focused. LC-LMD-525-120-01-A: Dot lasers at a wavelength of 520 nm. Despite the perceived brightness, this module is assigned to laser class 2. Thus, it has an output power of less than 1 mW and can be operated comfortably with a voltage between 3 - 6 volts. Following on from the success of Smiles pan African 4G LTE network enabling mobile broadband data was the rollout of voice and messaging using Voice over LTE technology. At the heart of the VoLTE solution was the Squire Technologies SVI-SBC Session Border Controller. Building on half a decade of NGN deployments the SVI-SBC was rapidly deployed to support LTE Pre-Conditions enabling optimal bandwidth allocation and rollout of VoLTE handsets. With high volume transcoding and support for mutli-device, single number services allowed Smile to offer offnet voice and messaging using the mobile app Zoiper. At the back end Squire Technologies deployed their mature set of media and messaging gateways to insure a seamless interconnect between the VoLTE network and legacy 2G/3G/PSTN. “From day one we needed a technology partner that could not only offer us a diverse range of core network signalling products but also a set of signalling experts that could rapidly develop and evolve their products to solve the network issues we knew we would face in such a leading edge rollout. I am happy to say Squire Technologies provided both and have been a key part of our success with the VoLTE rollout “said Tom Allen Smile COO. EMC has announced the next generation of its EMC® Isilon® Scale-out NAS Data Lake, which includes new products, features and capabilities that allow enterprises to scale easily to edge locations as well as to public clouds. The new products, — IsilonSD Edge, the next generation of Isilon OneFS® and Isilon CloudPoolsTM will enhance the Data Lake by allowing unstructured data to be available not only within the core data center, but also at data center edge locations such as remote offices and archived in the cloud. Designed to offer a more efficient Data Lake, the new Isilon solutions consolidate multiple workloads and allow users to access and analyze data from all locations.